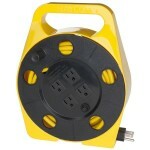 This Cord Reel has a 25' 16/3 SJT Extension Cord built in. 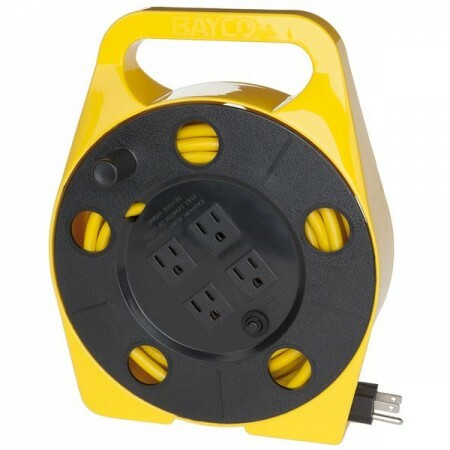 With 4 separate grounded outlets and a 10 amp rating, powering your project was never easier. All you have to do is pull out the cord, plug in and go to work. And when you're done, use the side-mounted crank handle to wind it back up. Made of impact resistant polypropylene, this unique and indispensable cord reel will last for years.